Part Three: The Story | Nebraska Public School Advantage - The power of public education. Essentially, this is a series of stories that ends in a, well, story. The story of a startup. The story of a school. Taylor Siebert became fascinated with the story. Heather Callihan found her passion in the story. “It’s like a window into your school, social media is,” Callihan said. It’s true, the story is what gets them up in the morning, but they’re just facilitators. They don’t want to be the ones to tell it. This story is theirs to tell. For Striv and the advisers at its schools across Nebraska, students are the face of opportunity. The priority, this was built for them. Striv is in its seventh year. Students who became involved early in their high school careers are now nearing college graduation. Siebert and his team keep tabs on Striv kids. Recently, a professor from UNL commented on how advanced a pair of freshman were on the first day of class because of their experiences in high school. Tyler Rinkol will be on campus in Lincoln next fall. He’ll be a freshman pursuing his broadcasting dreams, but he’ll also be a veteran of sorts in the booth. He’s comfortable with the headset, as one of the voices of his school. 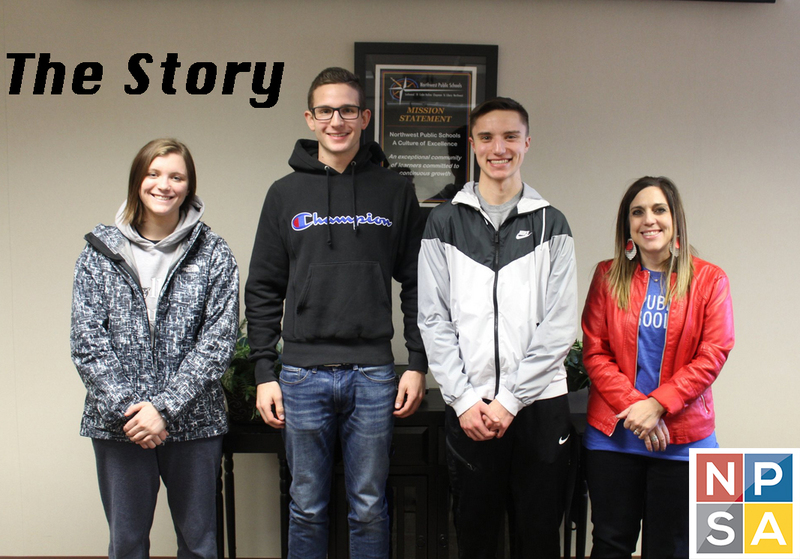 For students like Luke Jacobs and Maddy Oakeson, whose college plans center around dentistry and biochemistry, being involved with Striv only opened additional doors. At the same time, they’re a living part of Northwest’s culture. In a way, they’re the window into their school. For Jacobs, it’s the opportunities he appreciates most about his school. Opportunities like Striv, and music and sports and art. At Northwest, the production team has “Strived” music concerts and board meetings. For Siebert, the scope of the story is always growing wider. StrivU was created two years ago, an online academy of students who want to become content creators. “StrivU is a community within the Striv schools that want to go to that next level,” Siebert said. Class Intercom, a collaboration with Social Assurance co-founder Ben Pankonin, came about because of the StrivU conferences. Class Intercom software is a tool which allows students to create content for their school’s social media outlets with moderation and approval rights. The days of sticky notes with smeared Twitter passwords are numbered. Most importantly, adds Callihan, it’s another way to empower students. From Grand Island Northwest to Winnebago to Southern Valley to Sandy Creek, it’s time to tune in. We hear you. Loud and clear.